Right before the Holiday break we posed the question “Does Jamie Gold help or hurt poker?” and asked readers to voice their opinions over at BluffMagazine.com. In response, millions went over to the Bluff site over the weekend, give or take some large number of people, and voiced their opinion while a few expressed their views on this site. One of those, Craig Tapscott, recently interviewed Jamie Gold for FOXSports Poker and thinks Gold is getting the raw deal. “How in the world does Gold hurt the game? I see a lot of haters out there that are simply jealous. No real facts to back anything up. Go see the on camera interview I did with him for FOXSports for 1 hour and your opinion will change. Straight forward, humble guy who loves the game. You can view the video of Tapscott’s FOXSports interview here and let us know what you think. Also worth viewing is the excellent, level-headed comment from reader Waynebullet, who leans towards thinking Gold is not good for poker but without resorting to the kind of hoochie-mama-on-Maury-saying-she’s-all-that-and-a-bag-of-chips argument we’ve been seeing in the Gold-Leyser debate. For the record, we wholeheartedly agree with Waynebullet when he says that the lawsuit is bad for poker. It’s something we’ve said before, and while the damage is already done, the sooner the parties settle the better. 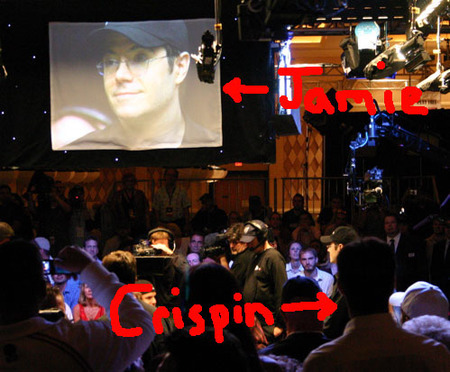 Token Jamie Gold-Crispin Leyser photo from the 2006 WSOP after the jump. is it me or does jamie gold look like harry potter? The way I see it..this isn’t about one person being good or bad for poker. Poker is bigger than just one person, one winner. Sure Moneymaker gets credit for so much of the success of poker but it was the perfect storm with the WPT, WSOP on ESPN, card cams, etc. 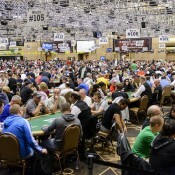 Now whether Gold is part of a perfect storm of poker’s mainstream demise is yet to be seen…the lawsuit no doubt contributes to this and is what i think we all see as the most troubling part of all this. As you guys said, poker deals belong in court as much as they do in writing. and yes he kind of does look like that harry potter kid. He looks more like Steven Colbert then HP, IMHO. Wow, my name in print on Wickedchopspoker. I feel like a proud papa now. I am just gleaming. I am going to call all my friends. I called all my friends, none of them care. Screw them, I am still happy. Thanks guys. 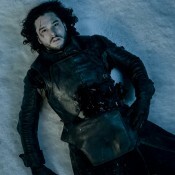 Oh and I am still not sure what to think of Jaime Gold. Seeing how I didn’t have to wait 6 months to form an opinion with any of the other WSOP champs, he is probably not good for the game.